Make your walkthroughs more meaningful with McREL’s built-in Teacher Walkthrough Template, which utilizes strategies from the best-selling book: Classroom Instruction That Works, 2nd Edition. Principals know that to serve as effective instructional leaders, they should conduct regular classroom walkthroughs. • But what should they look for when observing teachers? • What is the best way to track progress and report their observations to teachers? to growth in teaching and student learning? 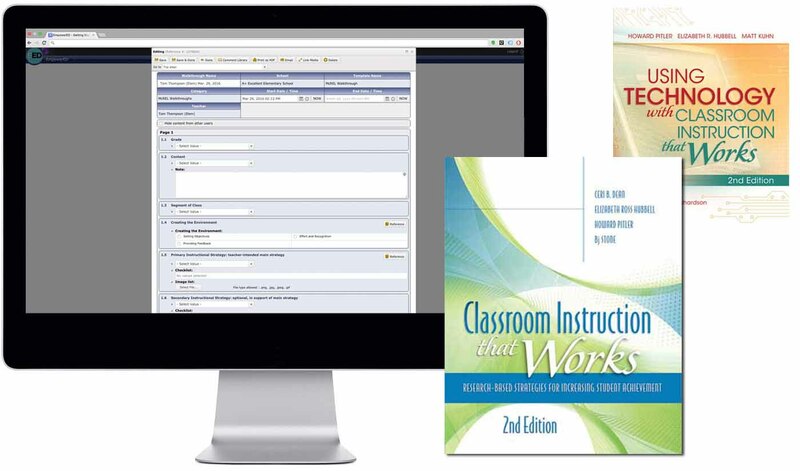 Strategies from McREL’s popular books, Classroom Instruction that Works, 2nd Edition (CITW) and Using Technology with Classroom Instruction that Works, 2nd Edition, are the basis for this classroom observation tool. In just a three-to-five minute visit, you can observe the teachers’ use of effective instructional strategies, level of student engagement, use of technology, and other teacher practices that research has shown to influence student learning. After multiple visits to classrooms throughout the building, administrators are able to see aggregate patterns in classroom practice, coach teachers, and plan needs-driven professional development. If you find that you require some assistance with Power Walkthrough, our dedicated staff will help you with all aspects of the system including training and ongoing support. Join the thousands who use Power Walkthrough every day. Over 1 million classroom observations have been conducted with Power Walkthrough. See the overall observation data for the school or utilize a filter to focus on a specific team or reporting element. View the compiled data for a particular day or for the entire school year if you choose. 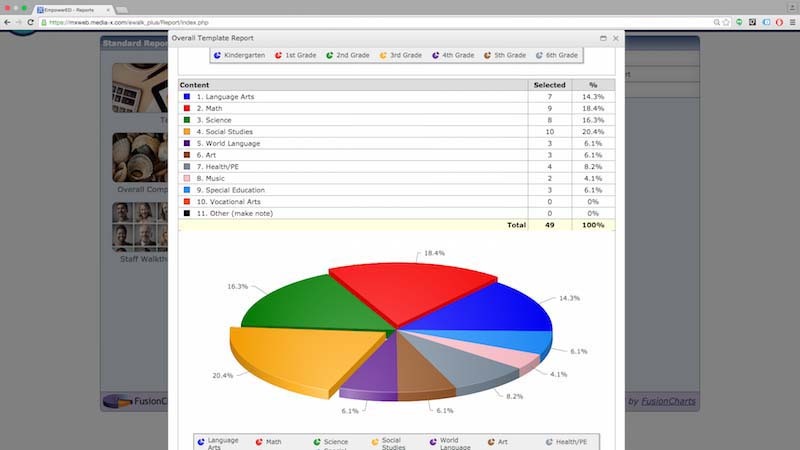 Power Walkthrough’s reporting feature allows you to see only the data you need. If you need to share your observation reports with colleagues, Power Walkthrough makes this simple. A quick click will take care of your sharing needs. Complete your observations conveniently with the Power Walkthrough mobile application for iOS devices. The mobile application allows classroom observations to be conducted offline, which is ideal for schools without full or dependable WiFi coverage. The mobile application collaborates with the web-based version of Power Walkthrough to provide a complete end-to-end solution for mobile data collection with cloud-based data storage and analysis. This application also takes advantage of many native iPad / iPhone features such as voice dictation and the built in camera. The Power Walkthrough app can be found within Apple’s App store. Sign up for a Quote, Live Demonstration or a Free Trial by filling out the Form at the top of this page.